It is not a secret that traveling on African roads is more dangerous than in the Western world. Tough very well developed Namibia does not make an exception when it comes to this. And sometimes you see something dreadful coming, try to do something about it – and fail. 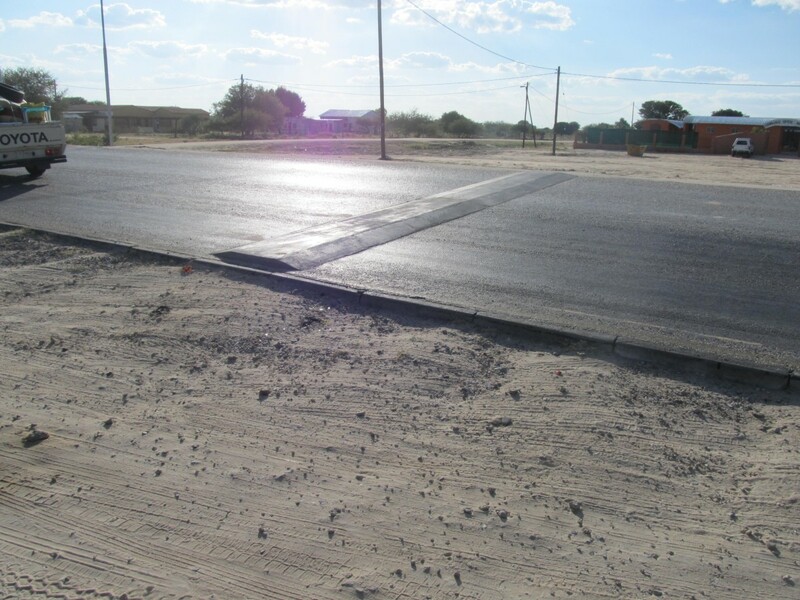 When coming back from a meeting in Windhoek Friday night, 20th April, we were passing Oshikuku: in a slight turn, at dark – and only a tiny sign next to it – we saw the newly installed two speed bumps a second before I hit it with more than the allowed 60km/h. Luckily we were driving our rugged Nissan GRN buggy and not one of our fragile Renault sedans. It was everything but enjoyable. The following Monday morning (23th April) I sent an official letter of complain to the Oshikuku Town Council about how grossly negligent the missing signalization is. On top of it I gave a copy of the letter to traffic control officers at our police station. Even some of their officers drove over the speed bump and complaint by that time. The following Friday evening (27th April) a family drove over the speed bump. Their vehicle lost control, turned over and an eleven year old girl was thrown out of it and died at the scene. Helplessness. I would be surprised if anything has changed when I am heading back to the North tomorrow.